The end of January has been strangely warm with temps around the mid-20°F to 30°F's above zero! After a little hesitation (it just seemed too good to be true), I brought the jogging stroller out of winter storage. 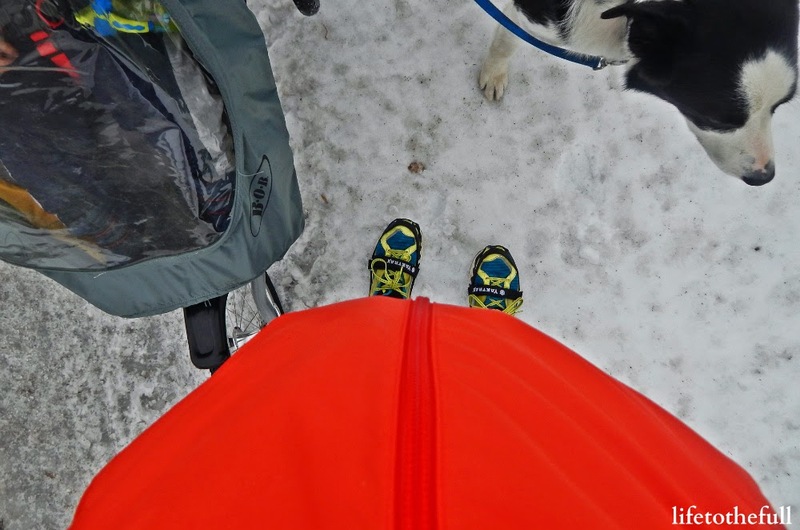 Winter running with a jogging stroller is a little extra work but is definitely worth it to get some fresh air for you and the little one(s). 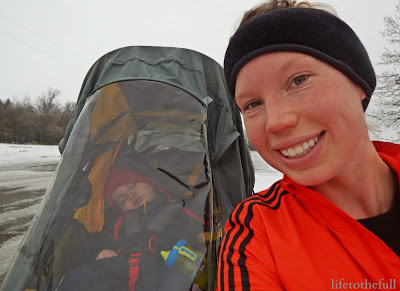 This summer I wrote a post about tips for running with a jogging stroller and I am revisiting that today with a winter edition! 1. Check the Weather. Make sure it is in fact warm enough to take your little one outside in the jogging stroller and that there are no storms heading your way. My general rule of thumb is for the weather to be +30°F with low winds. Be sure to dress yourself and your child appropriately for the weather! 2. Use the Weather Shield. BOB makes an awesome weather shield that keeps the chilly wind off my toddler and keeps him a little warmer than the actual outside temp. The shield is handy even in the spring temps up to around 60°F! I definitely wouldn't run with the stroller in the winter without the weather shield. The boys are ready to run! 3. Get Some Traction. Running on icy roads is hard enough and adding the weight of a stroller to the equation can make the situation even more challenging! Yaktrax have been essential to my outdoor running this winter because the roads in our town are super icy and I need an extra grip when pushing E's 25 lbs + the weight of the stroller itself. 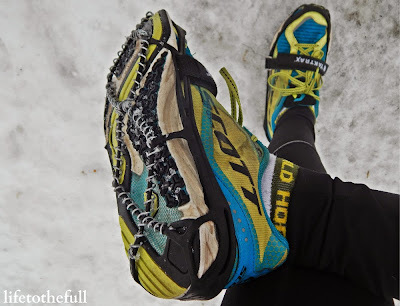 Yaktrax - the best invention since sliced bread (for cold weather runners at least). 4. Be Visible to Vehicles. Dress bright, watch out for traffic and only run in daylight. Don't expect cars to stop for you, especially on icy roads. I wear my bright orange Boston marathon coat (that barely fits my belly now) and it makes me easy to see in the mostly white, snowy environment. I'm starting to look more pregnant now but at least I can still see my toes! 5. Pack Food & Drink. A perk of running with a stroller is the extra storage space! I always pack my water bottle plus a sippy cup and snack for E. If I put milk in his sippy cup, he's almost guaranteed to fall asleep :) A sleeping toddler is a happy passenger! 6. Always Wear the Safety Strap. The stroller's safety strap is like a lifeline for your child. It's tempting to not use the strap, especially when switching hands frequently, but it could mean the difference between life and death (that sounds a little dramatic, but it's true). Even the most experienced runners (umm, not me.) slip on ice and that stroller needs to stop with you! A ride in the stroller is a great fix for a cranky morning... Poor guy was just tired. Do you prefer to exercise outdoors or indoors in the winter? Baby's Size: Papaya, average fetus size: 10.5 to 11.8 in, 12.7 to 20.8 oz. Cravings: Same as last week. Cheese and eggs, please. A cup of dark coffee with a little half n' half is near essential for my mornings. Avocado Egg Salad. I could eat this every day! Aversions: Fried food gives me major heartburn so I would consider fried chicken my newest aversion :( It's probably for the better anyways! I'm Feeling: Ecstatic to pick up Leo! 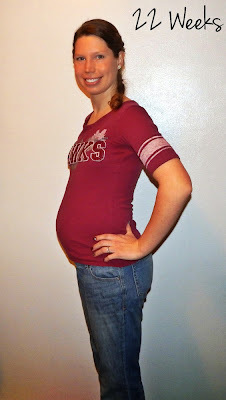 I'm feeling really good and so thankful that this pregnancy is healthy and going well. Fears of going into preterm labor creep into my head now and then but I'm praying about it and being sure to drink a whole lot of water and rest more. Sleep: The more the better. By 9:00 pm, I'm ready for bed and have been struggling to wake up at 5:30 or 6:00 am lately! Weight: +11 lbs from pre-pregnancy weight. My Prayer for Baby: "Thank You, God, for the gift of this pregnancy, the honor of being E's mom and for my husband returning home soon. I pray that You help me to remember to go to You with each and every decision I have to make and that our children will learn by my example. Continue to guide Baby 2's development so perfectly and help my body to carry him or her to full-term. Give me the wisdom and understanding to be a godly wife, mother and to hear Your Voice every day. Amen." Monday: 3.51 miles with the jogging stroller & dog, 9:47/mile. Windy and snowy! Wednesday: 4.01 miles with the jogging stroller & dog, 9:41/mile. Very icy, but less windy today. Thursday: 3.015 treadmill miles, 9:57/mile. Saturday: 3.06 treadmill miles, 9:49/mile. Linking up at Fitness Friday, Mommy Moments and The Fit Dish with Jill and Jessica. Thank you, sister :) I find rest in knowing that God is looking over us, even though it's so easy to worry about this pregnancy or about Leo making it home safely! 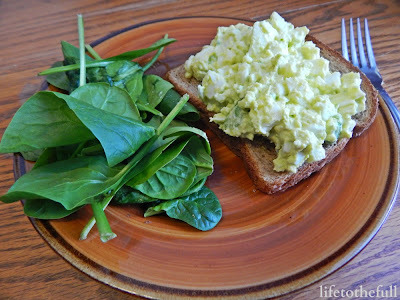 Avocado egg salad... YUM. We should make it some time together :) The avocados are from Sam's, so you're in the right town and everything! Thanks, Amy! Running with a stroller isn't so bad in the winter, but running pregnant makes it interesting sometimes. Depending on the run, Baby 2 is either squishing my bladder or my lungs - one extreme or the other :) Bathroom breaks are a no-go for me when it's cold out and I'm wearing so many layers! Thanks for stopping by, Deborah! Amy! These are wonderful tips! I love taking my toddler out for a walk. I'm so not a runner, but I walk 3 miles a day during the spring and summer months. My husband is a runner, and I often hijack his running stroller for our morning bouts. I would prefer to do this outside, but it's just been too frigid and cool where I am to even entertain the idea. So we've been stuck in the house with my treadmill--which doesnt do justice. These tips definitely helps me get motivated to step up my game and do some walks outside before the winter is over, however. Thank you! Way to hijack the jogging stroller!!! They make them so nice now - lighter and comfortable for the kids, too. I'm holding on to hope that spring is only a few months away and we can all be outside daily with our kids again :) Thanks for stopping by, Maria! nice update! 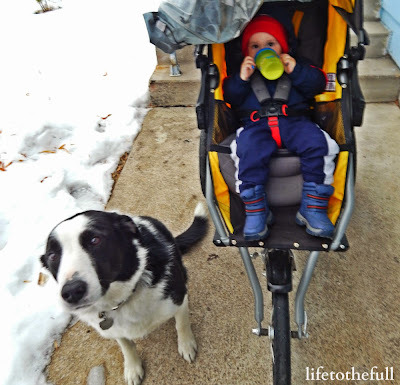 I am impressed with the running stroller- great tips for that! I don't think those were "in" when I had babies :) Keep moving you are doing awesome! Have a blessed week! Jogging strollers are definitely in these days and they make them so light and easy to run with (at least the single stroller)! We have a double ready to go whenever Baby 2 is old enough and I'm curious to see how much harder that will be to push :s Thanks for the encouragement, Mary Beth! I could definitely eat that avocado egg salad every day too! It looks delicious! Thank you, Farrah! Our dog is so sweet and patient (even with the toddler) and I think the running is growing on him. He wasn't a fan of long-distance at first! I couldn't live without YakTrax. Seriously, I don't know how I survived winter before them. 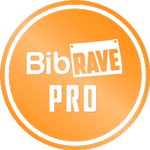 Great post, I think it will help a lot of people to know how to not only run outdoors when it's not the best conditions but how to do it safely with kiddos! I agree - Yaktrax are the best winter running accessory ever! I don't know how I ran in the winter without them! Whatever helps you get your workout in, Bri! Cold weather is okay with me, but a cold wind can sure take the fun out of running! My jogging stroller was my all time favorite baby shower gift. Love avo and egg! Loved this post. My daughter is having her baby in March and is a runner so we are checking out strollers!! and gonna have to figure out how to manage!! Thanks, Jodi! Congratulations to you, your daughter and her soon-to-arrive baby! Bravo Amy! What great information too! 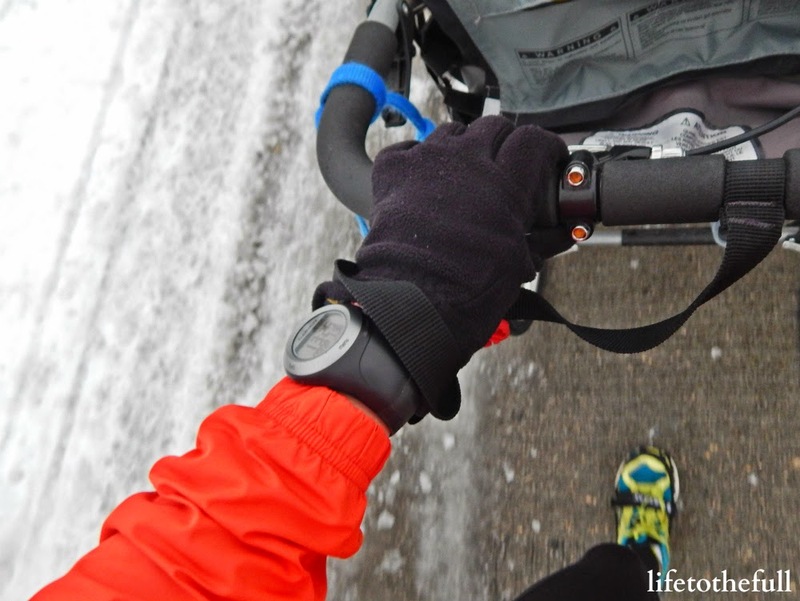 I always wondered about how cold was too cold, and what gear was out there for stroller running in winter. And wow, you are just the perfect mom and mom-to-be-again. So healthy, happy, and caring. Keep it up, fabulous! You are so inspiring! I'm glad the information was interesting, Jess! As for me being the perfect mom/mom-to-be, I almost laughed out loud but our toddler is laying next to me sleeping right now... While running on the treadmill and brainstorming posts yesterday, I thought I really need to write a post about struggles and how not perfect I am. Blogging can paint such a pretty picture sometimes and it leaves out the not-so-pretty things of each day!